SHERMAN TANK OF TILE SAWS! 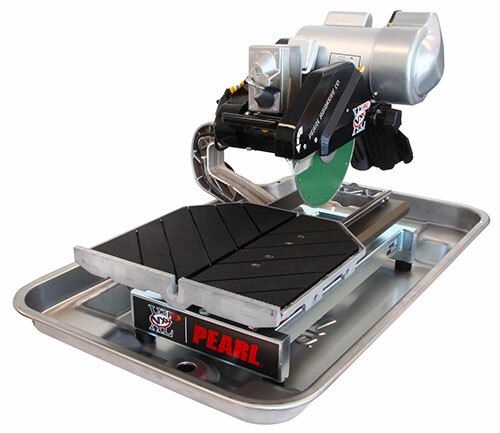 PATENTED TELESCOPING TABLE IS AVAILABLE ONLY FROM PEARL! 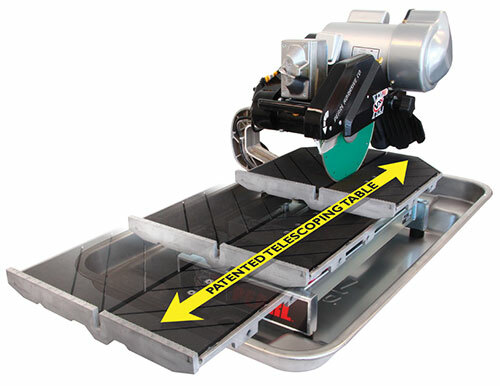 Included with saw: professional diamond blade, stainless water tray, drip tray (fits front and back), blade wrench, 45/90 rip Guide, water pump, miter block, product manual and warranty card. MOTOR: 2HP, 115v, 60Hz, single phase, 3,450 rpm with thermal overload protection. CUTTING CAPACITY: Depth of cut: Max. 3-1/4"; Rip cut: 24" x 24" tile; angle cut: 18" x 18" tile. BLADE CAPACITY: 8" - 10" with 5/8" arbor size. DIMENSION: (L)24" x (W)22-1/2" x (H)19-1/4"